The company reviewing Florida's new state test is meeting with South Florida districts Wednesday. 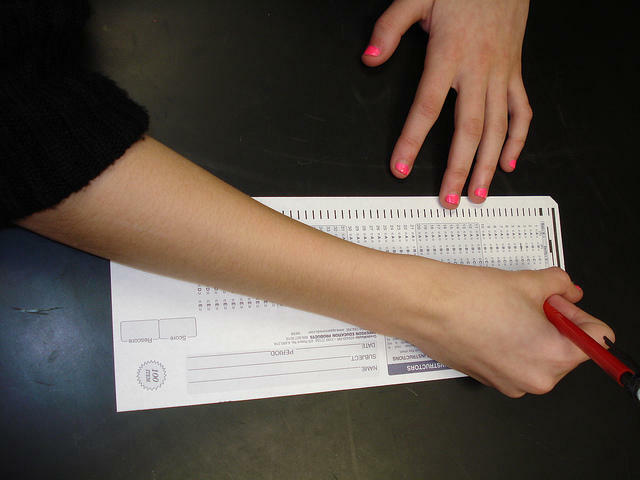 At least one superintendent wants the state to switch to paper-and-pencil exams. The firm checking whether Florida’s new state test is valid is meeting with South Florida school districts Wednesday. The state hired Alpine Testing Solutions after lawmakers raised questions about whether the new Florida Standards Assessments results should count. Many students had long waits or couldn’t access the Florida Standards Assessments when they tried to log on to the test this spring. Others were kicked out in the middle of the exam. Test vendor American Institutes for Research took the blame, admitting system updates twice caused problems accessing the exam. In a separate attack, hackers clogged test servers for a short time. That’s why Florida lawmakers required the state to hire Alpine Testing Solutions to make sure the test results weren’t compromised. Miami-Dade school officials said they’ll talk about what happened with testing in their schools. But they mostly expect to hear what Alpine has learned so far. Alpine has until Sept. 1 to complete its review. If found valid, the test results will determine school, district and teacher ratings. And one Central Florida leader is asking the state to scrap the new exam. Seminole County schools superintendent Walt Griffin says Florida should use the pencil-and-paper Iowa Test and SAT instead. Some states are telling students and parents they are better at reading, writing, math and other subjects than they really are, according to a new website from the Foundation for Excellence in Education. More than two-thirds of Florida residents polled say public school students should have to take Spanish, according to a monthly University of Florida economic survey. POLL: Tell us what language you think Florida students should learn. The school year may be over, but the next chapter in public education begins in less than three months: Common Core State Standards. However, Florida public school kids won’t follow Common Core, at least not in name. The state legislature this spring eliminated references to Common Core from state education policy. Still, the principles of Common Core remain: more rigorous education standards to better prepare students for college and careers.